One day our family was feeling like something was missing in our lives and we figured out that we needed a puppy. We went ahead and got the most beautiful miniature schnauzer we've ever seen. He was perfect, he was very sweet, very playful, extremely cute, we fell in love almost immediately. We took him home and our lives have changed forever, we've been so blessed to have our Fluffy Gustavo in our lives since august 1996. I read of Fluffy's death, and know what kind of pain you must have felt. 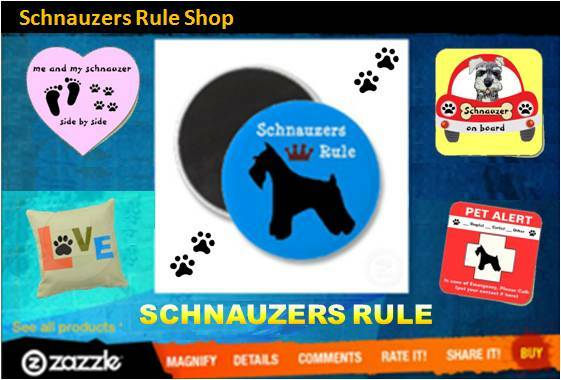 I had a beautiful mini Schnauzer named Danny, who was the dog "love" of my life. Someday we will all be together again in a beautiful place. Love is Eternal and we are placed together as companions to make part of Life's journey together. I learned a lot about the meanings of loyalty and love through my relationship with Danny. He brought comfort and joy to me, and made me more aware of the love and kindness of God as I understand God, through the gentleness, faithfulness and tolerance that Danny had for me over many years. He was with me through serious illness. May Fluffy's memory always be a blessing. Stay well, and God bless you. Marianne R.
I'm so very sorry that your Fluffy passed away. I know how devastating the loss of a wonderful dog can be. I had a half Lab/Newfoundland who passed away last summer at the age of 18 years old and she was family, best friend, loyal and sweet. I miss her too but I like to think I will see her again soon as well, that she is in doggy heaven playing with other dogs. She was my guardian too and I also believe she had a "paw" in how I got my Mini Schnauzer; she passed the torch to him and he is my guardian now and I see a lot of things of her in him even though they are so different! My condolences to you and I hope that you find comfort knowing that Fluffy is watching over you and that such unconditional love Fluffy had for you will live on forever. Thank you so much for all of the comments about my "Fluffy" they mean so much to me, when I read them I feel like my pain is healing and I think about my baby being in heaven playing with a lot of dog friends and having so much fun,I can't wait to see him again because I do have hope that I will see him some day.Thank You all. Fluffy was such a handsome boy. I'm sure indeed he gave your family years of love, devotion and happiness. You will be lonely for a while but hopefully soon you will find room in your heart for another Schnauzer pup. It will never take the place of Fluffy, but it will help with your recovery. I know that losing Fluffy was a terrible loss for you and I wanted to let you know how sorry I am. I know that Fluffy wasn't just a pet; he was a big part of your life and your family's life. Pets are there with you always attentive, loving, and ready to do whatever you want. Special dogs are rare but you were fortunate to find him, and I'm sure Fluffy was lucky to have you as their loving owner. My deepest sympathy. I'm so sorry to hear that "fluffy" has passed on to his next stage in life. Its so heart breaking when our pets die, it's their unconditional love that we truly miss, they love us no matter what. I'm sure you and fluffy will catch up again... in the meantime i pray God's strength, peace and comfort to be with you at this time. So sorry to hear of your loss. Fluffy was not just a pet, but a family member. I hope the memories and good times you had will comfort you during this difficult time. He'll be in your heart forever. Heartfelt thoughts go to you in your loss. I know how much my Schnauzer means to me and I don't want to ever see that day come. I pray that God will keep you in His care and that your hearts will heal with time. Praying that you find some peace and strength in your memories. God bless you. I was so sorry to hear about your loss of Fluffy. Schnauzers are amazing little bundles of love. We lost our friend, Shawn, years ago and we still feel the loss. Take care, my friend, and remember all the fun times you had together and that your Fluffy couldn't have had a better life than the one he had with you. I am so sorry about Fluffy. I just lost my Gus in March to cancer and he was only 7 and I know how you feel, the pain is so bad. 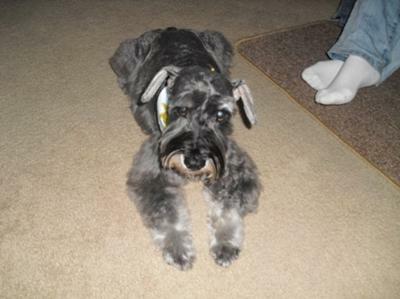 My lifesaver is my other schnauzer, Max and he has been a wonderful comfort--we both miss our Gussie so much. I am so sorry for your loss. baby too.. It will get better with time. Just remember the good times and the love you shared.. I truly believe we will see our babies again. So sorry, lost my sheltie after 12 years of mateship, got myself two mini schnauzers after and although I miss my best friend, they have filled the huge gap left behind!